Round 1: With both strands held together, sc completely around the key ring. Sl st to beginning sc. Fasten off and weave in ends as best as you can. 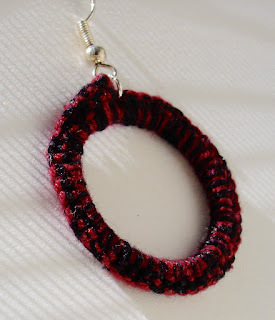 For a different look, hook 2 or more smaller key rings together before crocheting to create a "linked" effect. 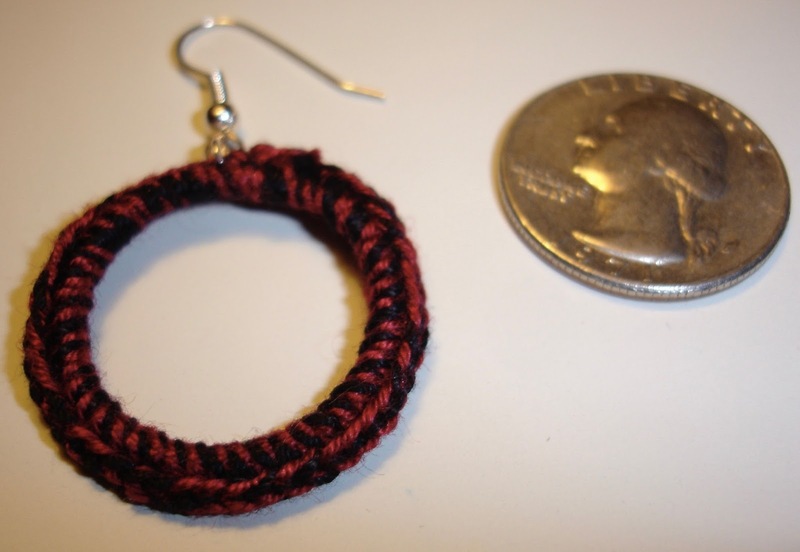 Thank you for the cute earring patterns. I also could not resist the little cactus pattern since I live in west Texas where cactus is abundant. Wish there were more cactus patterns out there. I would make them all. Hope you and your family have a holiday filled with peace and love.